After Norwich’s humiliating defeat to West Ham last week and the pressure piling on manager Hughton, City were looking to bounce back and get their season back on track against West Ham. 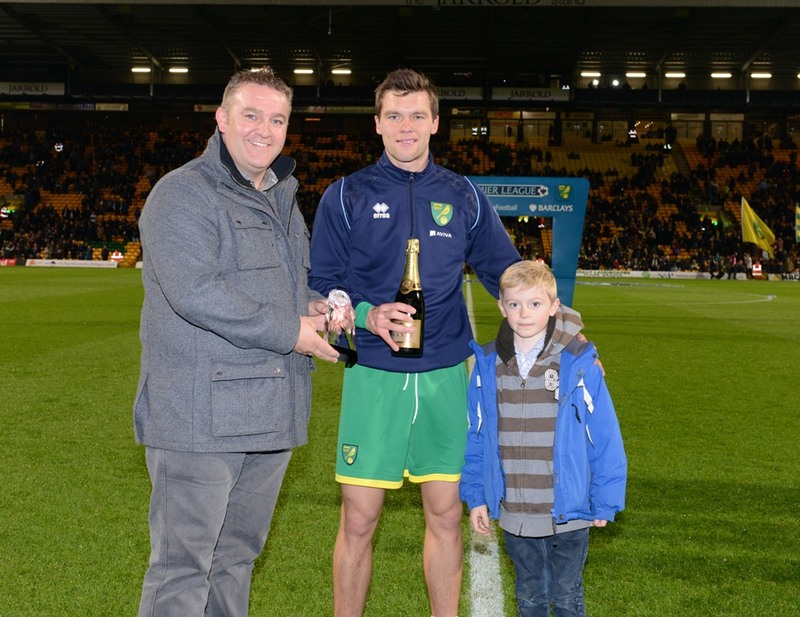 Before the game Jonny Howson was awarded the Anglian Home Improvements Player of the Month for October. Chris Hughton made a bold decision to drop club captain Sebastien Bassong, whilst up front he started Elmander and Hooper in a bid to score more goals. It didn’t look great for the Canaries when West Ham piled on the pressure throughout the first half and eventually grabbed a goal. After Guy Demel had hit the bar earlier in the half, Nolan won the ball back on the byline, squaring his pass to Morrison who slotted the ball away nicely. It wasn’t long into the second half when Norwich were awarded a penalty. Jussi Jaaskelainen spilt the ball after a looping header from Turner and when Hooper beat the keeper to the ball, the hand of Jaaskelainen caught his ankle sending him to the ground. Hooper stepped up to smash the ball straight down the middle into the net. Leroy Fer sealed the points with a lovely run and strike from the edge of the area, with the whole team celebrating with dropped captain Bassong on the sidelines. 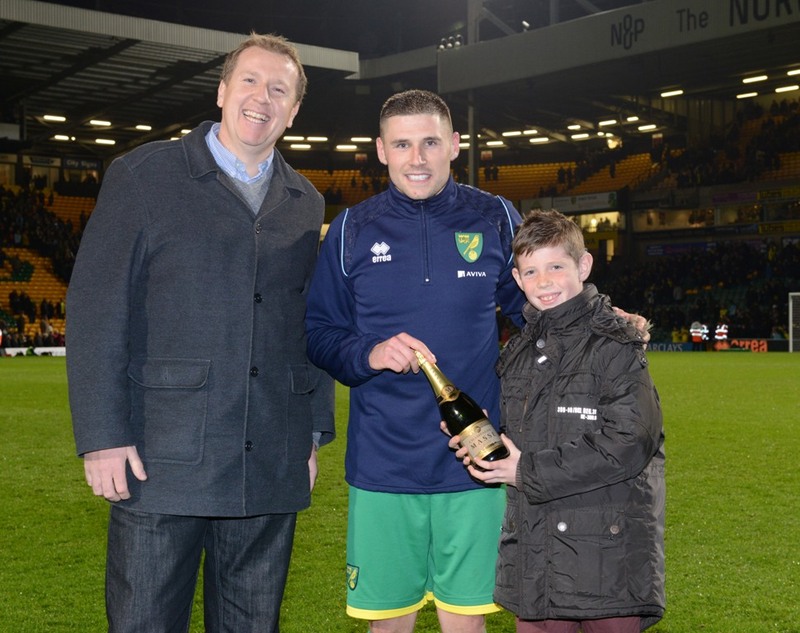 Gary Hooper was named the Anglian Home Improvements Man of the Match for his tireless performance up front.